Burnt Toast Makes You Sing Good by Kathleen Flinn is a recently published memoir which touched my heart. In this novel, the Midwestern rooted author shares the stories of her family’s joys and sorrows. Raised on a rural farm in Michigan, Flinn also reveals recipes of the loving relatives who shaped her life. I laughed and cried as I read this delightful book. Flinn’s writing style is wonderful! Writing this review reminds me of pep talks I have had with writing students and friends over the years. So often we tend to view our lives as nothing out of the ordinary, when in fact, I believe each of us has a unique story worth telling. Flinn has taken what to some might seem ordinary and made it extraordinary. I applaud her for doing so and am inspired by her work. 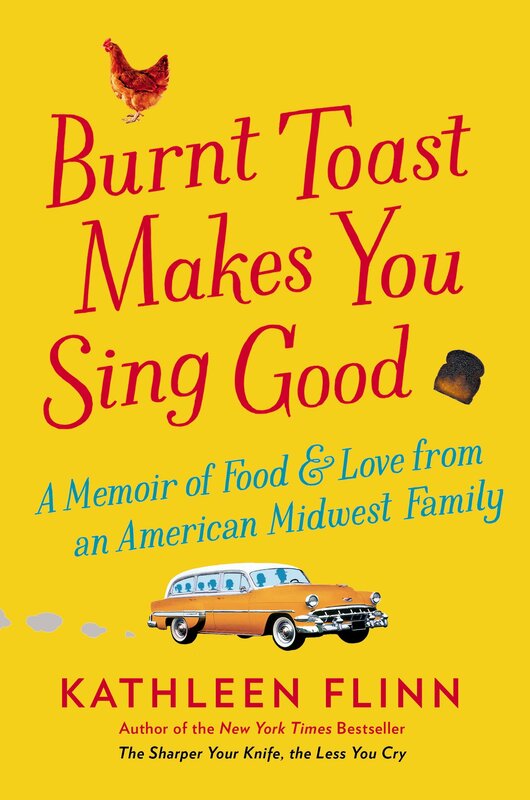 This entry was posted in Uncategorized and tagged Books, Burnt Toast Makes You Sing Good, cooking, fishing, food, Kathleen Flinn, memoir, Michigan, midwest, recipes. Bookmark the permalink. discussing on the internet. You definitely realize how to bring an iissue to light and make it important. More people should look at this annd understand this side of your story. This article has truly peaked my interest. for new details about once a week. I subscribed to your Feed too. I thanked you for the recommendation on Facebook, and I’ll thank you again on WordPress. I’m glad I’ve followed your recommendations all these years. Kathy, I agree, this book is a gem!